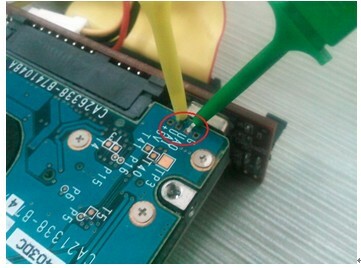 This article tells how to use HD Doctor for Toshiba/Fujitsu to unlock Fujitsu hard drives. 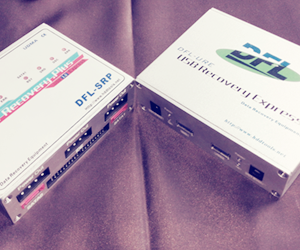 Note: For Fujitsu SATA drives, users are required to use dedicated IDA to SATA adapter to connect the drive with the HD Doctor’s IDE interface. After above step and preparation, you need to connect the command lines to the fujitsu drives as the picture indicates below and then you can enter the HD Doctor software operation interface, enter the Tcommod, power on the hd doctor you will receive one message from the command box ‘bootup from sa code’. Next press Ctrl+] and you will receive ‘ok’ message. Note: You may sometimes receive some error codes, you can try to modify the baud rate which is usually 19200 in default. Next, you just need to click ‘load from HDD’, and then click ‘remove password’ in ‘other operations’ interface, users usually receive ‘ok’ twice. 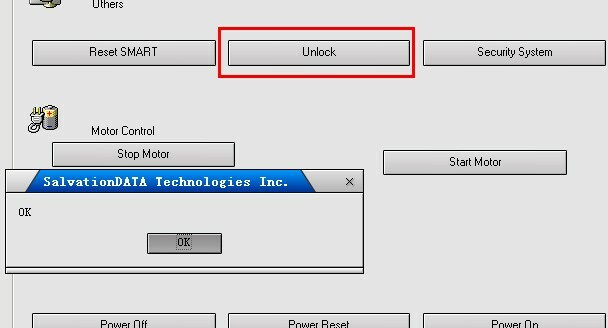 Reset the power and load from HDD, you will find the ‘HDD is locked’ message is removed, instead, it displays normally the LBA value of the fujitsu drive. So you make it!